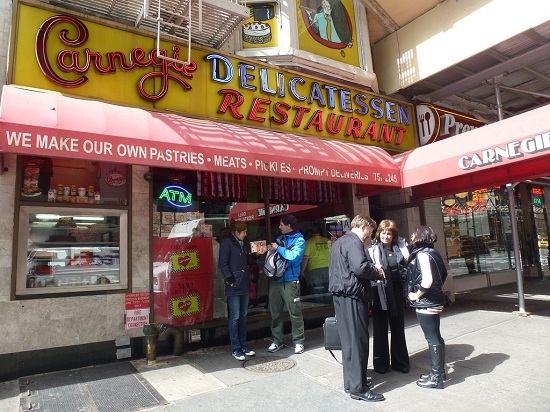 From bagels to cheesecake, New York is famous for some super comforting food. After embarking on some mouth-watering research, travel blogger Jayne Gorman brings us her picks of the best all-American food in New York City, and gives us the scoop on where you can sample it for yourself. It wasn’t until I visited New York that I fully understood Joey from Friends' obsession with cured meat sandwiches. 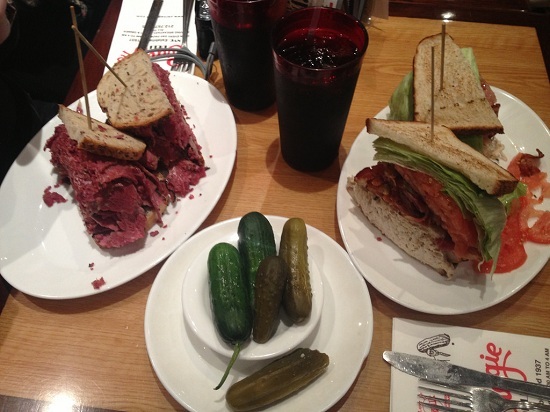 Carnegie Deli, a 72-year-old institution situated a few blocks north of Times Square, solved my confusion after one bite of their ‘Woody Allen’ –a whopper sandwich filled with pastrami and corned beef. The award-winning gargantuan sandwiches at Carnegie are overstuffed with at least one pound of meat and served alongside a plate of juicy pickles. The walls are crammed with pictures of patrons - make sure you become one of them. 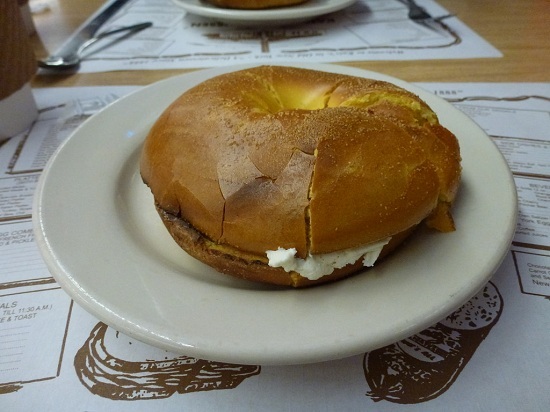 Although many cream cheese bagels here in the UK may claim to be New York style, there is nothing like the real thing. 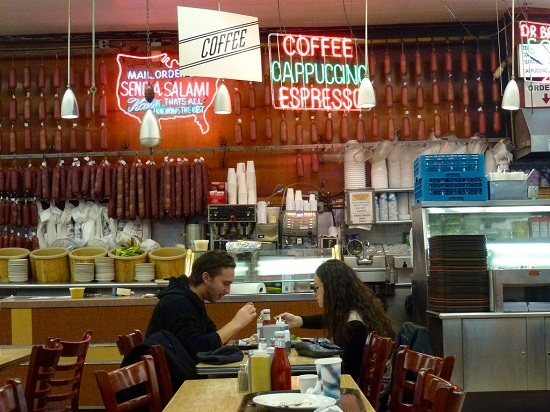 The best I tasted in the Big Apple was at Katz Deli, which has been serving the Lower East Side since the 1800s and is famous for being the place where a certain Harry met a girl named Sally. At the door you will be given a paper ticket and then invited to browse the never-ending counter of deli treats. The beef brisket is widely known to be among the best in the city but for me it was the gooey, chewy, soft-on-the-inside-crunchy-on-the-outside bagel that I shall never forget. 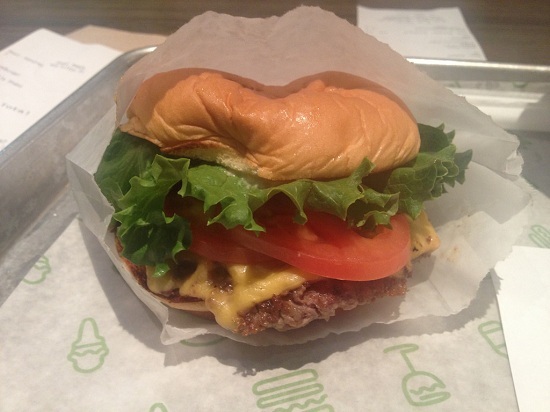 Shake Shack: once a popular shack in Madison Square Park this vendor of burgers and shakes (known as Concretes) has expanded rapidly due to popular demand. You can now find their tasty $10 meals in Brooklyn and also in London’s Covent Garden. Bill’s Burger: a beautiful juicy patty is served at this well-known chain. The branch in the Meatpacking District pulls in a hipster crowd. The Breslin: for something a bit different try the lamb burger, topped with feta cheese and served alongside thrice-cooked chips, at the restaurant attached to the trendy Ace Hotel. Still hungry? Be sure to save some space for a New York pizza pie. The title of best pizza in New York is a hotly contested one but the coal-fired pie at Grimaldi’s in Brooklyn is a name always on the list. 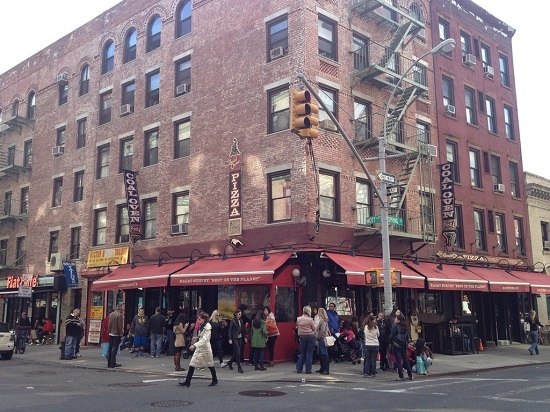 To try a slice from the first pizzeria in the states join the queue at Lombardi’s and sample a little taste of history. 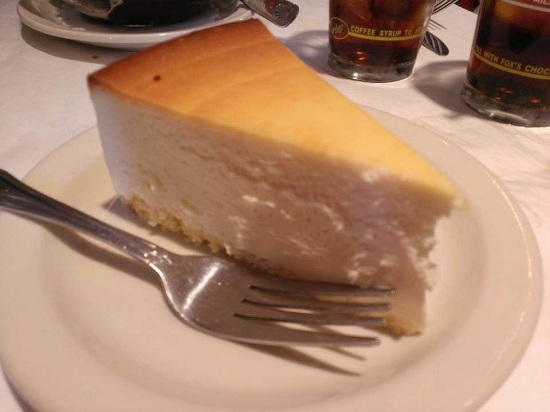 Of course we had to finish this post with a slice of New York cheesecake. When you say ‘cheesecake’ to a New Yorker they say ‘Junior’s’ and there is nowhere better to sample it than in the original Junior’s diner in Brooklyn. The whole front window of Junior’s is overflowing with cream cheese cakes the size of which are usually only seen at a wedding. One mouthful of their original, however, and I suddenly realised how cheesecake is supposed to taste. It tastes really, really good. Interested in dedicating yourself to research similar to Jayne's? We sure are! Head over to our New York City flights page and start dreaming about a holiday featuring the best all-American food around!